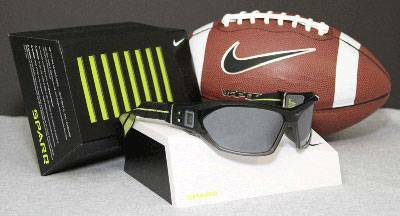 We use the Nike SPARQ Vapor Strobe for enhanced sports vision training for improving depth perception, eye-hand/body coordination, and visual anticipation and reaction time. Visit the Nike SPARQ Training website to watch videos of athletes using the Nike Strobe during training drills. Everyone knows that training strength, quickness, speed, and agility helps improve sports performance. But what about training your vision? Sports vision training enhances the visual skills needed during athletic performance and gives athletes a distinct advantage over the competition. To learn more about Sports Vision Training, contact us today!